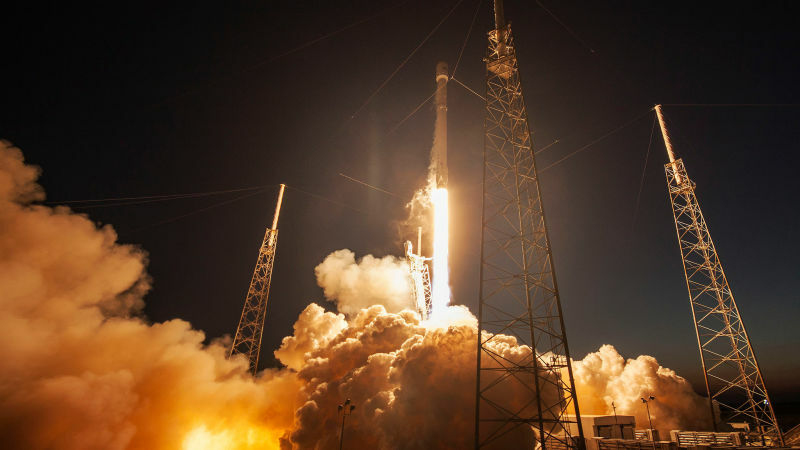 For NASA, this should be a real historic event, as the US aerospace agency for the first time agreed to use the already-tested Falcon 9 missile in the next space mission to supply the International Space Station. The launch is scheduled for Friday, December 8. With the help of the SpaceX rocket, 2.5 tons of payload are planned to be put into orbit. It should be noted that for SpaceX, the use of the previously used rocket will not be a curiosity – the company carried out this three times already, providing such services to SES, Space Systems / Loral, Iridium and Israeli Spacecom. But this time the client is the very agency NASA, known for its rather conservative views. All previous launches and conclusions of the payload into orbit with the help of the already used rocket occurred without any excesses. Portal Spaceflight Now reports that NASA approved the mission a few days ago, but this decision was not easy for the agency. NASA engineers carefully followed all the recovery and testing processes. “Some parts of the missile accelerator were dismantled and replaced with new ones. They provided a detailed list of which inspections needed to be carried out. They coped with all the tasks. The missile is ready for re-launch, “deputy chairman of the board William Gerstenmaier commented at a meeting of the advisory council on manned spaceflight NASA. The same portal reports that the space agency was completely satisfied with how SpaceX is preparing for repeated launches of used missiles. However, it is also noted here that NASA asks not to consider this case as a sign of “general transition” of the agency to the practice of multiple use of missiles. If in the future NASA resorts to similar services, then each new case will be considered and evaluated by the engineers, since the agency is not yet ready to take such a risk level. Third-party experts, in turn, note that if NASA were prepared for such risks, then it would have had its own reusable missiles for a long time, as well as a higher level of funding.